Description: A small number of this colour has been painted with the view of introducing new colours into our current range of lures. At this stage this particular colour will not be introduced into the current range of colours. 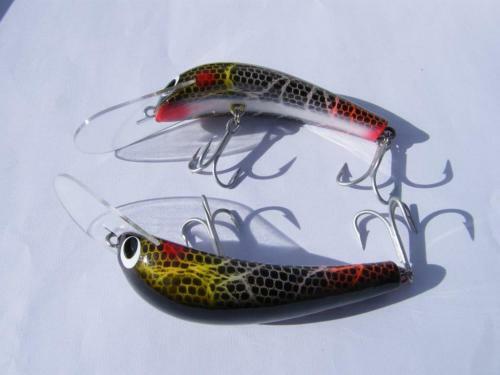 This colour may not be painted again & with only a small number painted this lure could be ideal for collectors or for someone who wants a lure that is a different pattern from what other people have.